Colombo, Sri Lanka | AFP | Thursday 12/20/2018 – Sri Lanka’s President Maithripala Sirisena named a 30 member cabinet Thursday to end a crippling seven week power struggle with his prime minister but only after a final tussle over who should control the police. Sirisena reinstated Ranil Wickremesinghe as prime minister on Sunday after the Supreme Court threw out his attempt to dissolve parliament and hold early elections in the Indian Ocean nation. “The forming of the cabinet was delayed because the president wanted to retain media and the police,” government spokesman Rajitha Senaratne said as the new cabinet was announced. No law and order minister was named in the new cabinet and Sirisena, who also serves as defence minister, will take responsibility for the police. The key posts of finance minister and foreign minister remained unchanged from Wickremesinghe’s deposed government. Mangala Samaraweera stays as finance minister and Tilak Marapana as foreign chief. Sirisena sparked the political crisis on 26 October when he sacked Wickremesinghe in a bid to name nationalist firebrand Mahinda Rajapaksa as prime minister. He had to backtrack in the face of opposition from the legislature where he had no majority and Sri Lankan courts. Shortly after giving Wickremesinghe his job back on Sunday, Sirisena made it clear that working with the new government would be difficult. “I still believe that I should not have made Ranil Wickremesinghe the prime minister but I bow to the wishes of the majority in parliament,” Sirisena said. 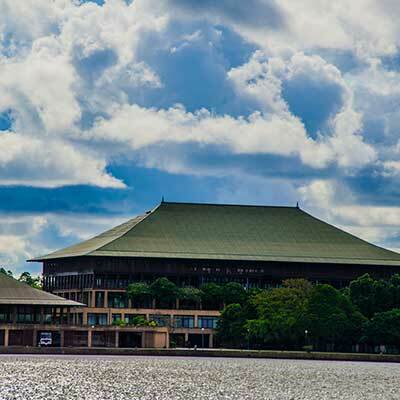 Sirisena came to power in 2015 with the help of Wickremesinghe’s United National Party (UNP) but personal and political clashes came to a head with the October sacking. The 69-year-old Wickremesinghe refused to give way to former president Rajapaksa, leaving the country with two claimants to the prime minister’s post and no functioning government. The Sri Lankan parliament backed Wickremesinghe’s claim that his dismissal was illegal, voting six times against Rajapaksa during tumultuous sessions that at times erupted into brawls.